Leslie Basham: Nancy DeMoss Wolgemuth says, "Your family really matters." Nancy DeMoss Wolgemuth: Marriage and family is not just a nice idea. It is a crucial part of God’s redemptive plan. It is critical to preserving and passing on truth to the next generation. Because it’s so important, there has always been, since Genesis chapter 3, an attempt on Satan’s part to undermine the family and family structures and marriage. There has been this battle going on. Leslie: This is Revive Our Hearts with Nancy DeMoss Wolgemuth, author of Adorned, for Monday, March 6, 2017. 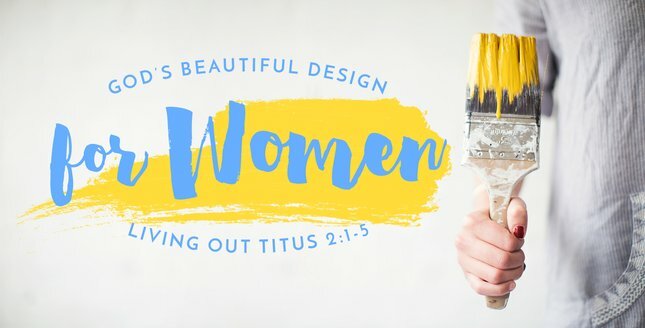 For the past few weeks we’ve been in a series called "God’s Beautiful Design for Women: Living out Titus 2:1–5." As we continue the series this week, we’ll take a look at what this passage says about our homes. At the end of the program, Nancy will tell you about a listener whose parents decided to separate. Hear about the way God intervened in that situation. First, let’s get back to the teaching from Titus 2. Nancy: If you have a background in education, you’ve heard the term “scope and sequence” and you know what that refers to. It has to do with curriculum. So if you’re a third grade teacher they tell you, “This is what third graders need to know. This is what they need to be able to do in each of these subjects by the time they get through the third grade” or seventh grade or a certain high school course. This is the scope and sequence. This is what will be covered; this is what needs to be learned. In Titus chapter 2, we have a lot of reference to teaching. There’s a scope and sequence involved for those who are teaching. We started in verse 1 where the apostle Paul tells Titus that he is to teach the things that accord with sound doctrine. There’s a curriculum there. There’s a scope and sequence. So we have older women teaching younger women. The question is: What are the older women to teach the younger women? What’s the scope and sequence? What’s the curriculum? This is the curriculum. This is the scope and sequence of what older women are to be teaching to younger women. There are seven qualities, seven characteristics, seven responsibilities or roles in this curriculum. Today we want to overview that list. Then over the next couple of weeks, we’ll take time to develop each one in the list. So let me read the list again and then I want to make a few observations. There are five things that stand out to me about this list that I want to focus on today. This is just by way of general observation. Then in the next session, we’ll dive into the first one about women loving their husbands. First of all, as you look at this list, the first thing that strikes me is that it is very counter-cultural. It is not a politically correct list. If you think about it in light of our culture, this is really a radical curriculum. It’s God’s way. In fact, you will not see these subjects as part of the curriculum of the women's studies program of almost any university in this country. You have a lot of women's studies programs, but these are not the things being taught in those programs. This is a biblical program, but it really runs counter to the whole direction and drift of the culture. We’ve seen what the world’s curriculum does in the lives of women and how it leaves them disordered and dysfunctional and distressed and in depression. I think it’s time we try God’s way. We see what can happen when we begin to educate and train women in the ways of God. Something else that strikes me, number two, is what is not on this list. If you were going to disciple a younger woman, maybe a new believer, a young wife, a newlywed, and you wanted to help her become spiritually mature and fruitful and live a life that is pleasing to God, what are the major subjects you would deal with? We might say things like you would want to teach her how to pray, how to study God’s Word, how to witness. These are crucial subjects, but I think of them as being part of like the general educational requirements part of the curriculum. Those are things that are important for all believers. But it’s interesting that none of those things appear on this list of required courses if you’re going to get a major in biblical womanhood. There are other places in the Scripture where they are said to be important. But when it is specifically directed to what we are to train in the lives of young women, it’s interesting that those things aren’t there. Neither do you see anything about career. You don’t see anything about training this woman to have a ministry or to go out and do ministry or other good things that we could name. They just aren’t on the list. I’m not saying those other things are all bad or unimportant, but I’m saying we need to focus on what God says is absolutely essential if you’re going to have a major in biblical womanhood. Number three observation I would make is that these things don't come naturally. They don’t just happen. They have to be trained. Train the younger women to love their husbands, to love their children. These are not things that come naturally, and they’re things that happen in the context of the community of faith. Younger women don’t just learn these things by osmosis nor do they learn them simply by going to church and sitting under strong biblical preaching, which of course is crucial. God says there is something else that’s needed as a part of the process of discipleship in women’s lives and that is other women who can come alongside of them and life to life engage with them and teach them in the context of the community of faith. A fourth observation I would make about this list is the priority that God places on the home. Does that not stand out really clearly in this list of qualities? Four of these qualities relate specifically to marriage and family. Younger women are to learn to love their husbands, love their children, be working at home and be submissive to their own husbands. The other three qualities—self-controlled and pure and kind—you’re not going to have a very strong family life if you don’t have those character qualities. But the priority that God places on the home—this passage assumes that young women will be wives and mothers. It’s not saying if they’re wives and mothers or if they decide they want to get married or if they decide they want to have children, then teach them these things. There’s an assumption that young women will get married and will have children. At the risk of being truly politically incorrect, could I say this is God’s norm? The implication is, as I look at not only this passage but the whole of Scripture, that as a rule young people are to be purposeful about getting married and about having children. When I say young people, I don’t mean twelve year olds, but I mean there needs to be this movement toward and this sense that this is what I’m growing up to do—get married and have children for the glory of God and the furthering of Christ’s kingdom. It’s not just so we can all have happy families. It’s because this is God’s means of communicating the gospel from one generation to the next. It is crucial to God’s redemptive plan. There are some exceptions. Clearly God has gifted some to be able to stay single for the purpose of serving Him in a more concentrated way. You read about that in 1 Corinthians chapter 7. But it’s also clear in the Scripture that those are the exceptions, not the rule. We need to keep this in mind as God's norm as young women are making decisions and as we are counseling young women, as parents are counseling their daughters about making decisions in relation to education, in finances, in job training. Now, I'm not saying that young women shouldn't get an education; I'm not saying that young women shouldn't get a job when they are of age to do that and God hasn't brought a husband into their lives. I'm saying, decisions need to be made in the context of it is God's norm for young women to grow up to get married and have children. We need to be preparing our young women and our young men to be the ones to take initiative (maybe we'll do a series sometime on the importance of training sons to prepare for marriage as well). This whole curriculum here, this whole scope and sequence in Titus 2 is where the "rubber meets the road" in relation to a woman’s calling, her mission, and her personal and her spiritual life. She’s not just told, “Okay, be discipled to be a godly woman.” What does that look like? What it looks like in most cases is, “Be a godly wife. Be a godly mother.” This is how a woman is godly—by loving her husband, by loving her children, by being morally chaste and pure, by being kind and self-controlled and working at home and submissive to her own husband. This is the outworking of the gospel and sound doctrine in the context of a woman's life. It's her family. It's the laboratory of life where doctrine gets lived out. In chapter 1 of Titus—and we talked about this earlier in the series—there were on the island of Crete where Titus was shepherding the flock, some false teachers who were teaching things that according to verse 11 of chapter 1, things that were overturning whole families. We’re not told exactly what those false teachings were, what the doctrines were. But it’s possible as you put this whole book together that what those false teachers may have been communicating were ways of thinking that were undermining God’s plan for the family, undermining biblical roles for men and for women, for husbands and for wives. They were overturning whole families because of things they were teaching. They were teaching these things for gain. That means they were popular. They were getting paid well to teach these things, write these books, have these programs, have these seminars. But they were false teachings and they were upsetting the apple cart of God's design for the family. Certainly there’s much teaching today about marriage and family even in the Christian world that is overturning whole families, that is causing serial divorce and remarriage and dysfunction hugely in the home as a result of some of what is being taught even within the Christian world. Let me say that marriage and family is not just a nice idea. It is a crucial part of God’s redemptive plan. It is critical to preserving and passing on truth to the next generation. Marriage and family is not just a nice idea. It is critical to preserving and passing on truth to the next generation. And because it’s so important there has always been, since Genesis chapter 3, an attempt on Satan’s part to undermine the family and family structures and marriage. There’s been this battle going on. In fact, the first women's seminar I ever taught when I was twenty years of age was "The Battle for the Family: A Woman's Role." I went around the country doing these one-day seminars of the battle for the family. There was a battle then, there is a battle now. There always has been; there always will be a battle for the family. Wherever the light of the gospel and the Word of God have permeated the culture, marriage and family structures have been impacted and transformed as men and women and children begin to embrace and live out God’s plan. Getting saved and beginning to live out the gospel affects family relationships. And conversely, when you see families falling apart, not just out in the world but in your church, when you see marriages falling apart, when you see brokenness in relationships between parents and children, it indicates an absence of the gospel and sound doctrine. We may know it in our heads, but it’s not being lived out in the relationships that matter in our families. So the apostle Paul wanted Christian women to learn to live out their salvation, to live redeemed lives in a way that affected every aspect of their lives. There’s no question that the most challenging, important place to live out our faith is where? It’s in the home. Isn’t that the hardest place to live it out? But it’s also the most crucial. This list, these seven qualities, is what flows out of believing sound doctrine. Ladies, you may know your Bible forwards and backwards, but if you don’t love your husband, if you don’t love your children, if you’re not self-controlled, if you’re not morally pure, if you’re not managing your home well, if you’re not kind, if you’re not submissive to your husband, something is wrong with your Christianity. You cannot claim to be a godly woman if things aren’t right in your home. That doesn’t mean you’re responsible for your husband’s spiritual decisions and his life. Your husband or your children or other family members may make very wrong spiritual decisions and you’re not accountable for them. But it means you are accountable for doing your part. The Scripture doesn’t say in this passage that you’re accountable for your husband loving you. But you are accountable for loving him. You can’t claim to be godly if you don’t love your husband. That’s where the gospel gets lived out. Some of us can remember the time in this country when marriage and family and home were esteemed and respected, when the norm was that people would grow up, get married and have children. We can remember when there were distinct roles for men and women in the home, when men were expected to be providers and protectors for their wives and children, and women were encouraged to place a priority on helping their husbands, on nurturing their children, on caring for their homes. Some of us can remember when culture valued those roles and said that it's important for a wife to be able to do that; that it's important for a woman to be a wife, a mother, and to have the freedom to manage her home and work in the home and to serve her family. Even the secular culture forty or fifty years ago understood that these women were making a significant contribution—not only to their family but to all of society, that what they were doing had economic value and social value, not to speak of the enormous spiritual battle. But there’s been a huge cultural shift within my lifetime. What I just described is no longer the case. In fact if you are younger than forty or thirty-five, you’ve probably never known a world in which what I just described is the norm. In 1987 only 20 percent of Christians felt that women should not emphasize the two roles of marriage and motherhood. Twenty years later, in 2007, 47 percent of Christian women felt that the roles of marriage and motherhood should not be emphasized for women. That is a seismic shift in the evangelical culture. This is not the outside pagan feminist world. We're talking about twenty years that shift. Young women now are encouraged to make decisions about their schooling and their major based on the marketability of a degree. What kind of job can you get? How will it prepare you for a career? With little thought for if or how those decisions will prepare them to manage a home, raise a family, and so on. Society has demeaned and rejected those functions of marriage and parenting. Today it’s almost embarrassing for a young woman to admit that her primary aspiration in life is to be a godly wife and mother. Why should a young woman have to be embarrassed to say that? Or why should she be made to feel, “You must not have a brain if that’s the way you’re thinking!” or “What are you going to do?” The fear and the unbelief and the devaluing of those roles is palpable. In contrast, you have the biblical model which is what we’re committed to training women to embrace through the ministry of Revive Our Hearts. We’re taking some of these issues on. They’re huge cultural issues. We’ve got to go back to the Scripture and realize that the home is a vital part of a woman’s calling and our witness to the world and that it is a high and holy calling to be a wife and a mother. It is a high and holy calling to be a wife and a mother. We need to become cheerleaders again for women who choose the mission of motherhood, the mission of marriage as a means of glorying God. Now that I’m deep in already, let me just jump into a little cousin to this concept or this concern. I hear a lot of younger women today expressing a desire to (quote) “have a ministry.” They want to write. They want to speak. They want to start a ministry. They want to do this or that. They’re ambitious about having a ministry, and I think with the purest of intention and heart. They want to serve the Lord. I encountered this with a younger woman several days ago with a gal who has a strong heart for the Lord. But she broke off her relationship with a godly guy. They have a huge respect for each other; it’s been a healthy relationship overall. But she broke off the relationship in part because she wants the freedom to develop a personal ministry independent of what God has called him to do in ministry. I’m not being critical of this young woman because I think she’s typical of many committed young Christian women in our culture who need to be trained about God’s ways of thinking in relation to the value and the priority of marriage and motherhood and home, that this is a high and holy calling and career. This is their ministry. It’s not that you have to leave your home to have a ministry. I’m not saying God will never give you ministry beyond the walls of your home. But don’t bypass the one you’ve got right there in front of you—shaping the next generation, spiritual formation. Where are you going to have any greater ministry than you do with that husband and those children? The priority of the home. Let me close by saying the other obvious thing to me in this passage is the priority of love. That’s the starting place for all that we’ll talk about with these different characteristics and qualities. Where does it start out? Teach the younger women to love—to love their husbands, to love their children. According to 1 Corinthians chapter 13, if we have amazing spiritual gifts, we know all about the Bible, we have incredible faith, we live these awesome sacrificial lives but we don’t have love, what does it amount to? Nothing. We have nothing; we are nothing. The greatest priority in a home, the greatest priority in your marriage, the priority that you have as a mother with your children today is to reflect the love of Christ to your family and to others, to love them. Jesus said, “This is how people will know that you are my disciples if you have love for one another.” Love—the priority of love. Don’t claim to love God if you don’t love your husband and you don’t love your children. It’s one thing for people at work or in your church to think of you as a sweet, loving woman or friend. But what if we were to ask your family? What if we were to ask your husband, your children? How’s your love quotient? This is the starting place. The testing place for true love is within the four walls of our homes. If it doesn’t work there, it doesn’t work. I’m so glad you asked because that’s what this passage is all about. It says that you can learn to love your husband and love your children. That’s what we’re going to talk about over these next several days. Leslie: Nancy DeMoss Wolgemuth has been inviting you to be part of a new women’s movement of love and commitment. Nancy will be right back to pray. Over the years, Nancy has offered women a challenge many, many times. It goes like this: For thirty days, don’t say anything negative about your husband. And for thirty days, say at least one thing positive to him. And, Nancy, I know women everywhere have taken you up on that challenge and seen huge changes. So many have written to tell us about it. This thirty-day challenge has been such a blessing. Not only for me and my husband. But also for my parents who have been married for thirty-nine years. They recently decided they wanted to separate. But this challenge has given me the words of encouragement that they needed, and they have reconciled. To God be the glory. I’m not sure how this listener shared what she was learning in this challenge with her parents, but that story shows how powerful encouraging words are. Look, if you’ve struggled in marriage for a long time, or you may find that the passion is your marriage is getting stale recently—it’s at least worth a try to take this challenge that I've seen change the atmosphere, the dance step, so to say, in so many marriages. I’ve heard so many stories from women who’ve been surprised at the transformation that took place in their husband when there is a spirit of encouragement in their homes. What if you don’t know how to encourage your husband? What will you say for thirty days? We can help you with that. Our team has produced a booklet called 30 Days of Encouraging Your Husband. We'd like to send that booklet to you as our gift when you support Revive Our Hearts with a donation of any amount. This little booklet will walk you through this experiment of making sure your home is a place of encouragement. Leslie: When you call with a gift of any size, ask for 30 Days of Encouraging Your Husband. The number is 1–800–569–5959, or you can visit ReviveOurHearts.com, make your donation and get the booklet. How do you truly bring love into your home? How do you show it in your actions? We'll take a look at that tomorrow. Nancy is back to close in prayer. Nancy: Thank You, Father, that You’ve not left us clueless but You have given us a manual, a curriculum. I pray that the priorities that are on Your heart for our lives as women would be on our hearts, that we would embrace them and pursue them and make them our major, that we would seek to get a degree in biblical womanhood. I pray for moms, for wives and for single women and married women that You have not blessed with children at this season of life and for each of us, that over these next days You would show us how in our season of life to live out Your priorities for our lives and our homes. Lord, above all would You help us to be clothed with love? May the love that is expressed and experienced in our family relationships be that which calls people to know and pursue the God who is the source of that love. I pray in Jesus’ name, amen. Revive Our Hearts with Nancy DeMoss Wolgemuth is an outreach of Life Action Ministries. And we're cheering on your family!